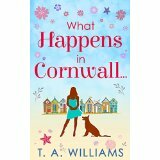 I’m delighted to be able to bring you ‘What Happens In Cornwall’ by T A Williams as part of Bliss Book Promotions. 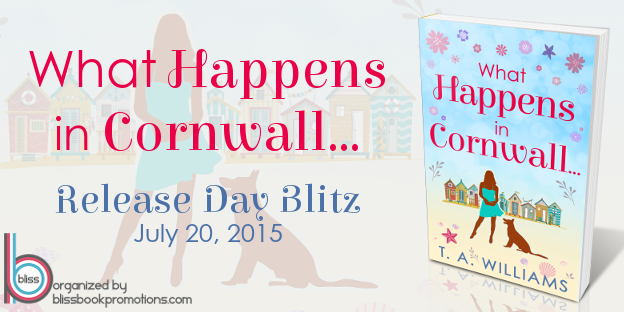 ‘What Happens in Cornwall’ is out today, 20th July 2015, from Carina UK. I’ll be reviewing the book here on my blog on 27th July – it’s a great read and you can win an e-copy and read a couple of extracts below. At nine-thirty on the Sunday evening, fortified by a large glass of Chardonnay each and bearing a bottle of Rioja as an offering, they turned up at the party. It wasn’t in a scruffy terraced house in the heart of student town, but in a fine Georgian villa, high on the hill above the university, with a terrific view across the historic city. Even more surprising was the fact that the music was provided, not by a tattooed DJ with an earring and a couple of battered loudspeakers, but by a string quartet set up under a pergola of exquisite white roses. As they rounded the side of the house and took in the scene, both of them stopped dead in astonishment. They glanced at each other, the same thought on both their minds. ‘Bugger! We should have dressed up.’ Sam looked down at her shorts and regretted her decision not to go with a dress. Beside her, Becky was doing her best to tug her very short skirt down to her knees without baring her bottom. They turned towards the voice. It emanated from a tall man, probably in his early forties, with a patrician accent and immaculately styled long brown hair. He was wearing jeans and a plain white shirt. Samantha began to feel a bit less conspicuous about her choice of clothes. He smiled down at them. 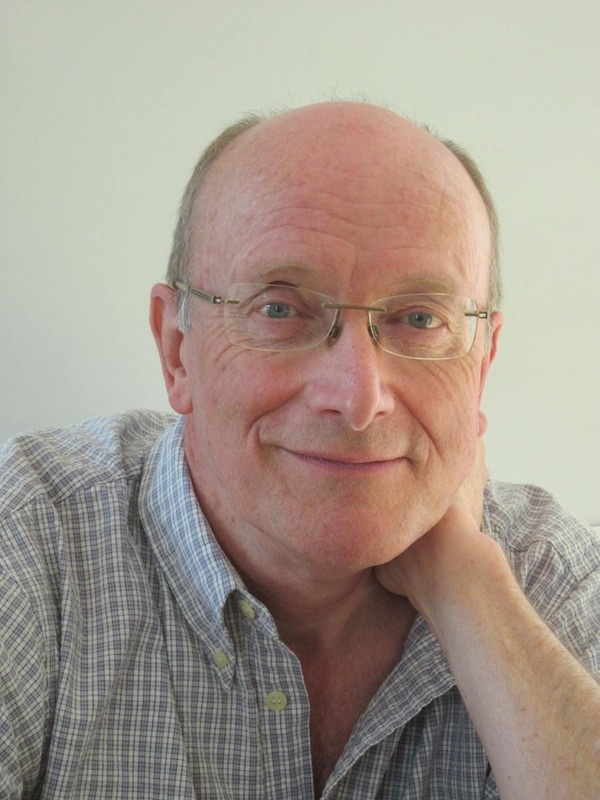 ‘Miles Vernon, Professor Miles Vernon. And you are?’ He held out his hand. Now find out why Sam never wants to be a passenger with Virginia again! Virginia successfully backed the car into the parking space at the third attempt and turned off the engine. Samantha, beside her, breathed out deeply. She was still alive. Slowly, she unclenched her fingers from the seatbelt. She had never been driven by Virginia before and if it never happened again, that would be too soon. The journey down the busy A38 trunk road had been a succession of near misses and near death experiences. Driving without due care and attention didn’t even begin to describe it. When they had crossed into Cornwall and embarked upon the ever narrower lanes, Sam had genuinely expected death to come at them around every corner. Throughout the whole trip Virginia had kept up a non-stop chatter about the prospect of exploring Rock Island. Understandably she was excited at the thought of going to the island, but it was to the exclusion of all else, road safety in particular. They climbed out of the car, Sam managing to resist the temptation to throw herself to the ground and kiss the tarmac under her feet. Instead, she took a few deep breaths, dried her palms on her jeans, and looked around. One unexpected side effect of having the fear of death put in her was that she found that she was experiencing life with total clarity, and she looked around with interest. The car park was halfway down the hill leading into Tregossick and the view across the bay to the island was as clear as a bell after all the rain. Sam glanced at her watch and was pleased to see it was just before three o’clock as arranged. From the moment they left the shelter of the car, they were assailed by the twin noises of seabirds wheeling overhead and the regular crump of waves against the beach. While Virginia went off to get the parking ticket, Sam had time to look around. The car park was almost full and most of the cars had roof racks for surf boards. A quick glance down to the beach showed that the waves had enticed quite a number of wetsuited figures into the water with their boards. There are some reviews here on Goodreads, but pop back on 27th to see what I thought. I haven’t read the others but I will now!